Fears of a catastrophic cash crunch at Chesapeake Energy are fading. Fast. 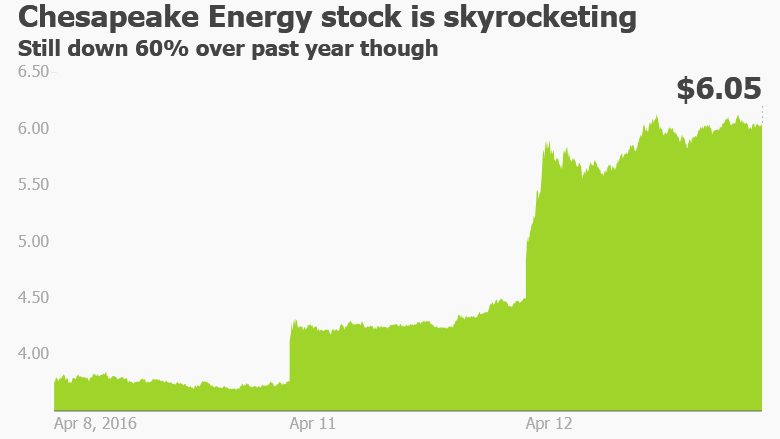 Chesapeake's (CHK) stock spiked 34% on Tuesday, the biggest one-day gain since the oil and natural gas company went public in 1993. Investors and analysts are cheering Chesapeake's announcement that its banks have agreed not to yank a credit line worth $4 billion. That's huge because the oil crash has made it more difficult for Chesapeake to pay down its huge debt load of $10 billion. Chesapeake also bought itself more time with the banks by pushing back its next review by creditors until June 2017... as long as it maintains certain financial metrics. "This definitely extends the runway for liquidity," said David Holt, an analyst at S&P Global Market Intelligence who raised his price target on Chesapeake to $6 per share from $3. Chesapeake is considered one of the pioneers of shale energy in the U.S. 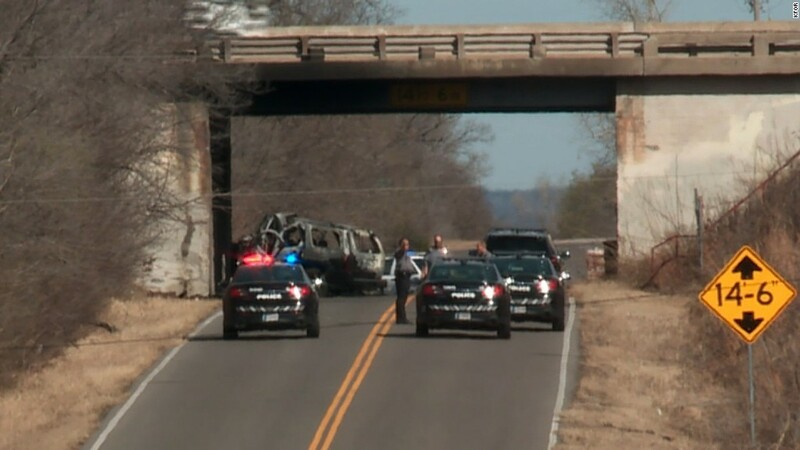 The company was founded by Aubrey McClendon, who died in a fiery car wreck earlier this year following a federal indictment on bid-rigging charges. Other analysts are turning more optimistic on Chesapeake as well. Tudor, Pickering, Holt removed its "sell" rating on Chesapeake on Tuesday, citing the agreement with lenders and the recent surge in oil prices above $42 a barrel. Citigroup also upgraded Chesapeake's 2017 and 2018 junk bonds to "buy," saying the new agreement gives the company "time to ride out a low commodity price environment." The enthusiastic reaction on Wall Street underscores how worried investors were about the ability of Chesapeake to survive the downturn. Things got so bad that in February Chesapeake had to put out a statement denying reports it was plotting a bankruptcy filing. The bad news is that Chesapeake shares are still down nearly 60% over the past year. And the new deal with banks required Chesapeake to pony up lots more collateral to reel back its credit facility. Chesapeake said in a regulatory filing it has pledged "substantially all" of its assets, including mortgages covering 90% of its proved oil and gas properties. Holt said those concessions mean that while the short-term liquidity worries have eased, longer-term solvency risks remain. "We think the additional assets pledged for collateral leave little room for error," said Holt.